September 9, 2010 - The Federal Aviation Administration (FAA) has revoked the air agency certificate of Phoenix Heliparts, Inc., (PHI) of Mesa, Ariz., for allegedly performing improper repairs and deliberately falsifying maintenance records. PHI must surrender its certificate to the FAA, as required under the terms of the emergency revocation. The FAA alleges that PHI mechanics failed to follow its repair station and/or quality control manuals when repairing aircraft, and used incorrect parts. The FAA also alleges that on at least four occasions, the company made intentionally false entries in the aircraft maintenance records. ?Safety is not optional for aviation companies. 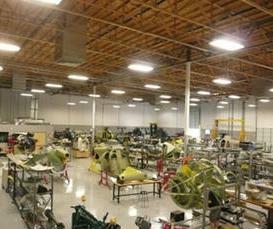 Whether repairing airplanes or helicopters, repair stations are required to follow maintenance rules and procedures,? said FAA Administrator Randy Babbitt. Inspectors from the FAA?s Scottsdale Flight Service District Office inspected PHI Aug. 27, 2008, and found a variety of violations of the Federal Aviation Regulations. They included unauthorized use of an electronic recordkeeping system, failure to operate the maintenance shop according to its approved repair station and quality control manuals, and using unqualified people to perform the work. FAA inspectors reinspected PHI?s facility on Sept. 15 and 16, 2008, and discovered hundreds of additional discrepancies. These included identifying unserviceable parts as serviceable and retaining them for reuse; failure to document maintenance work and inspections; and failure to have and use approved data to guide major repairs and alterations. PHI performed major restoration work on a damaged Hughes 369 helicopter for the U.S. Department of Agriculture, but the department retained another company to inspect the helicopter before it returned to service. That inspection turned up more than 30 airworthiness discrepancies. The FAA also alleges company employees deliberately falsified maintenance forms, including a return-to-service authorization, when more than 100 items had not been inspected according to the company?s quality control manual. The FAA offered PHI numerous opportunities to correct its problems after the Aug. 27, 2008 inspection, but PHI was unable to bring the company into compliance. PHI can appeal the emergency nature of the revocation to the National Transportation Safety Board. Phoenix Heliparts Inc is a private company that is listed as an Aircraft and Heavy Equipment Repair Services, located in Mesa, AZ. The company was established in 2003. Current estimates show this company has an annual revenue of $2.5 to 5 million and it employs approximately 20 to 49.